The emergence of digital marketing has led companies to leverage brand advocacy campaigns to remain at the forefront. Online communities develop user-generated content, engagement activities, and word of mouth in exchange for incentives, creating brand awareness that results in cost-effective campaigns and a loyal customer base. 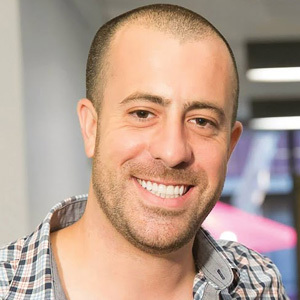 “We help brands create purpose-driven communities that are interconnected by social media channels while using gamification intelligently to promote brand awareness,” states Joe Sanchis, founder and CEO, Queue Technologies. The company focuses on brand advocacy and gamification to help brands amplify their influence and rapidly develop a community of loyal fans. Queue creates a system that integrates back-end marketing and customer relationship management systems with social channels and data insights. The first step in promoting brand awareness and engagement campaigns is identifying advocates who can be advantageous for a brand. “We have a strategy wherein we target relevant advocates to create a snowball effect that maximizes coverage,” explains Sanchis. The selection of advocates is based on explicit data, for example, loyal fans with significant following on social media who can actively promote brands. “We track user demographics and monitor campaign performance metrics across social channels to identify the best advocates,” adds Sanchis. The advocates then attract “users” to strengthen a brand’s community. The community of fans is in turn “activated” through variable reward incentives for helping the brand spread its message, referring others, social sharing, watching videos, and more. Gamification allows retention and expansion of the community through fun, exciting, immersive activities that engage existing users and attract new ones. Brands need to leverage gamification to better manage their agile marketing campaigns, produce creative activations, and engage users, enabling them to act collectively toward achieving community goals— thus facilitating organic marketing expansion. Queue helps brands anchor various channels together to form one powerful “tornado” capable of virality. “The larger the number of activated users, the higher the conversion, we have mastered the art of getting the right advocates to promote brands,” remarks Sanchis. Queue pioneered systematic virality and counts clientele such as prominent digital agencies, leading marketers like Neil Patel, established brands such as Samsung, Fitjoy, and Lego, celebrities like Bruno Mars, and top crowdfunders and startups. Queue helped Spinn Coffee, a startup company that had no brand affinity initially; launch its innovative coffee maker through a viral pre-launch campaign. The result was a sale amounting to $2.7 million in the first month. “We focus on performance organic marketing and we have a team of behavioral science and neuro-linguistic programming experts,” states Sanchis. The company is mindful of all things related to gamification, and the necessity of incentives from a social context. Queue has taken social advocacy and made it scalable online for digital communities and brands. Queue is actively looking to apply machine learning and AI in brand advocacy to optimize, automate, and personalize marketing campaigns. Leveraging analytics to predict if a certain strategy is going to yield results, improve it, and determine whether a product will generate revenue, based on the campaign’s evaluation. The company plans to use gamification along with interactive technologies such as AR to create immersive content. “We want to bring out the true potential of gamification to transform marketing in a way that it becomes much more experience-based and fully organic, providing a unique and personalized brand experience for customers,” concludes Sanchis.